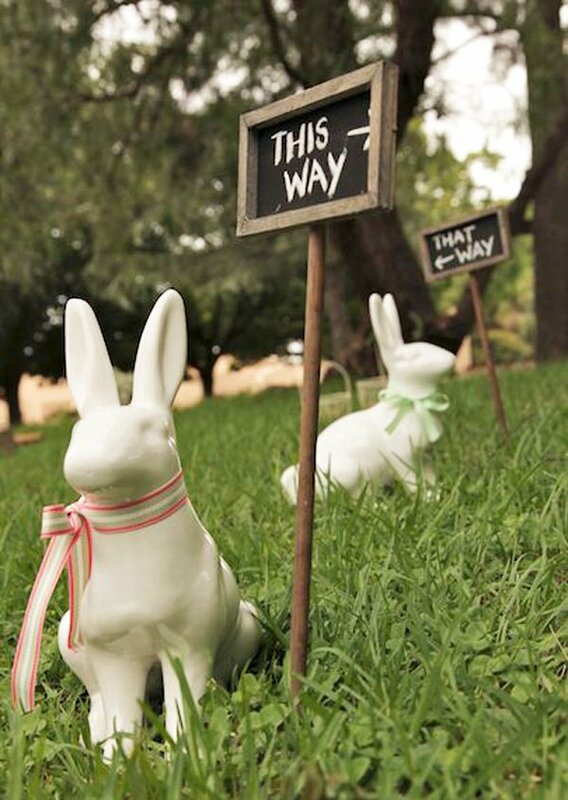 We’re loving the charming, shabby chic vibe of this vintage-style “Breakfast and Bunnies” brunch hosted by Julia of In Good Company, a fabulous party design & decor company based in South Africa. Read on for more charming images, party details, and free downloads from Julia! “The theme was Breakfast & Bunnies. We set the scene for a morning of merriment (and a brunch that would work for guests of all ages) with fresh air, fading blooms and lots of sun-dappled colors. I choose decorations that were easy to set up and child-friendly: a Hello Hanna paper wishing tree, bright melamine dishes and gingham napkins, then served a traditional English breakfast with warm hot cross buns. This is gorgeous! I had no idea that easter was the perfect entertaining holiday until I started reading all of your posts. 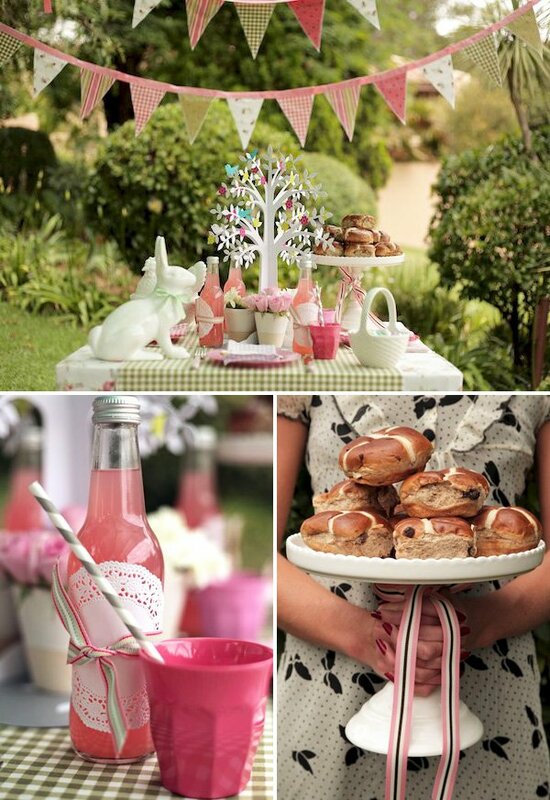 Garden parties, pastel colors and spring awakenings… love it! This is absolutely wonderful and perfect timing. This is going to be a bittersweet Easter and I was looking for a way to make it beautiful. You just made taking care of the table instant perfection. Thank you SO much!!! love the doilies over the bottles! easy, cheap and beautiful! Love the chalkboard signs.. Everything is just adorable. The Chalkboard signs in the grass, and the vintage cutlery and accessories are a perfect match to this style. Beautiful! they are so cute, but for some reason I can’t download them.. Thank you so much for this post. I want to let you know that I posted a link to your blog in CBH Digital Scrapbooking Freebies, under the Page 5 post on Apr. 20, 2011. Thanks again. The doilies on the bottle, such a CUTE idea! I have a question – how do you cut the printables out? Especially the bunny nose and ears? Is there a way to do it with a silhouette or does it have to be done by hand?? 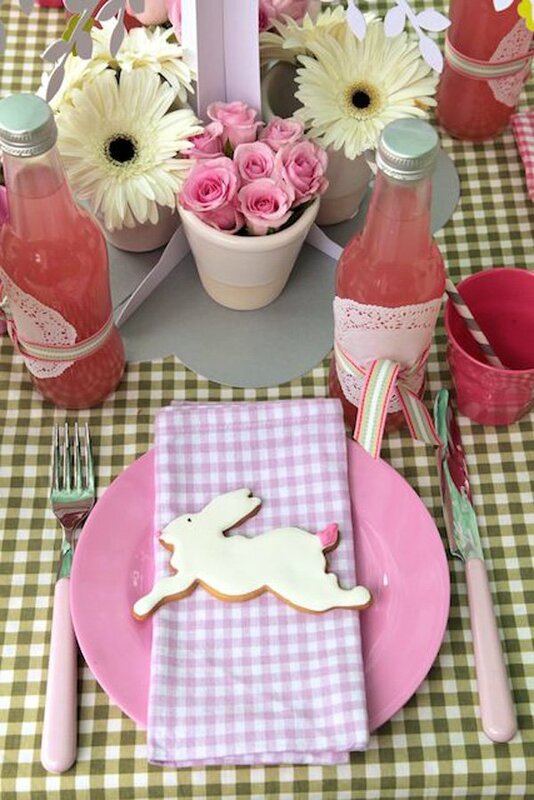 Love this vintage Easter Brunch! Gorgeous is right! 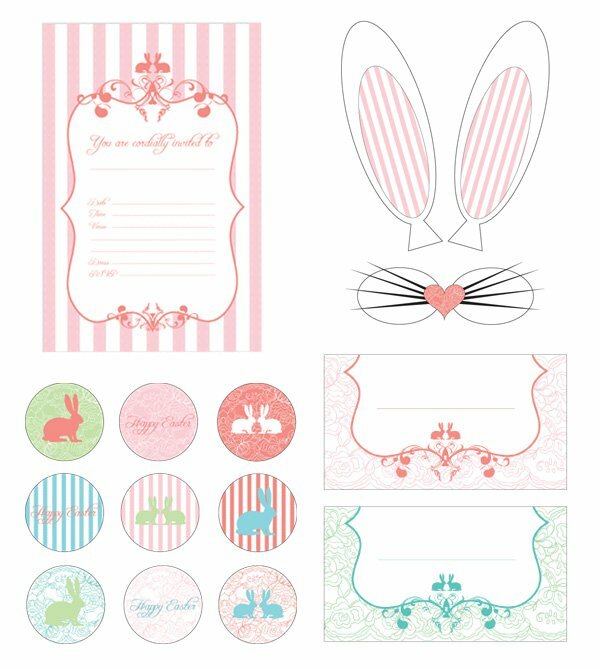 Anyone planning a vintage Easter Brunch themselves, might want to take a side trip to my blog, MissPartySmarty.com. Late last night, The Mad Hatter submitted a fabulous Easter Brunch Menu, with recipes too! I love everything vintage, and the sweet Easter pastels. The chalk board signs/stakes are great. Absolutely beautiful, love the bottles and doily’s especially! 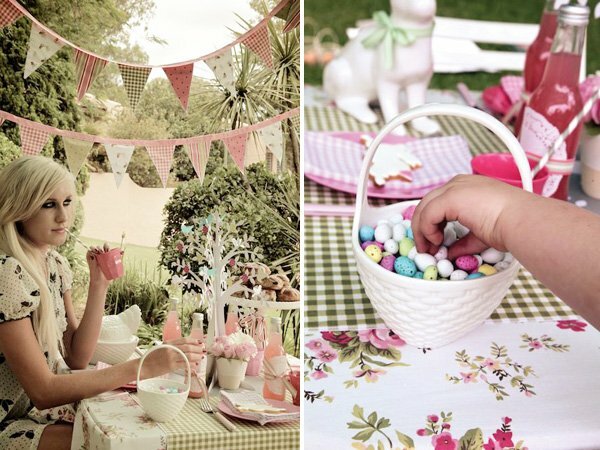 Big thanks to you and Julia for sharing this beautiful and inspiring Easter party with us! I would love to know where I could get the beautiful white bunnies and very thankful for answer! I love your chalkboard signs. 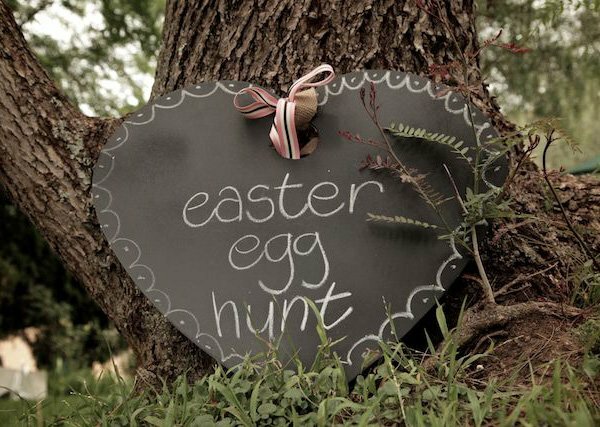 I am thinking they would be great cues in the back yard for my grandkids who are too young to really understand the “hunting” part of an Easter Egg hunt. We could have used those “this way” and “that way” chalkboard signs today… something we’ll need to keep in mind next year. 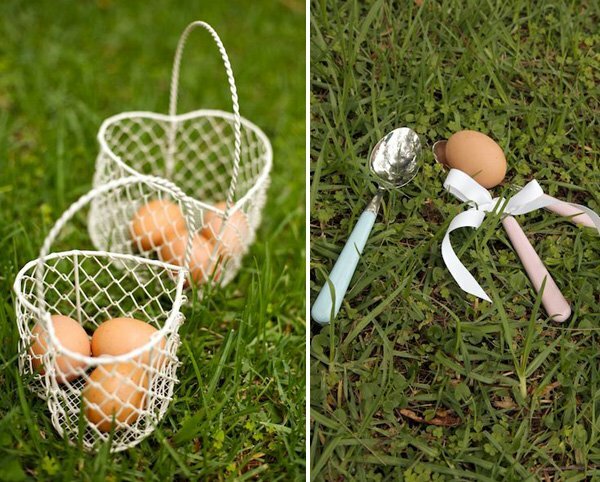 Super cute way to dress up the yard + make the egg hunt more festive. 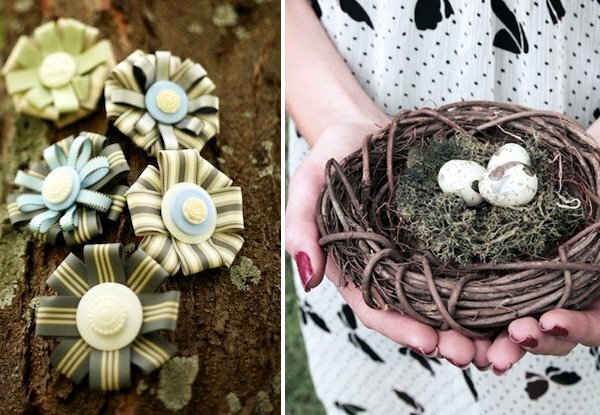 Gorgeours ideas and simply perfect not just for Easter but for the entire Spring season. I Love your website ! how lovely! 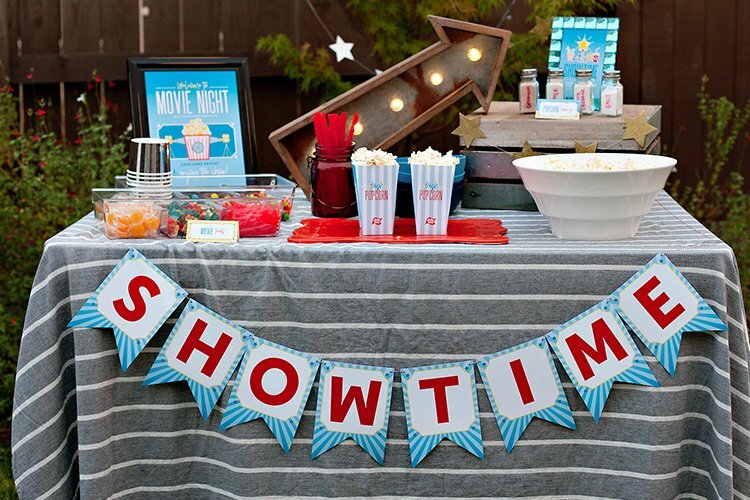 Love these, but I am unable to get the pennant printable? What are the pink drinks? I went to In Good Company and didn’t see them.